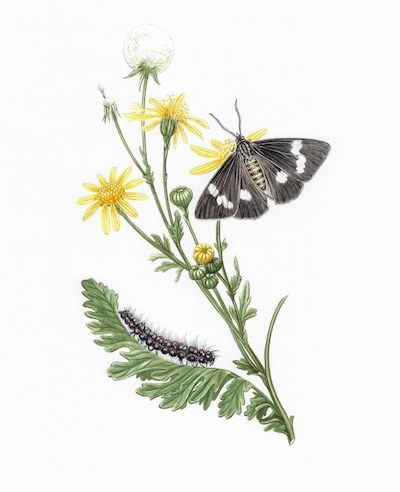 A Few (Commissioned by Predator Free 2050) is the third installment in an ongoing series of natural history illustrations depicting native and resident species by emerging artist Erin Forsyth. 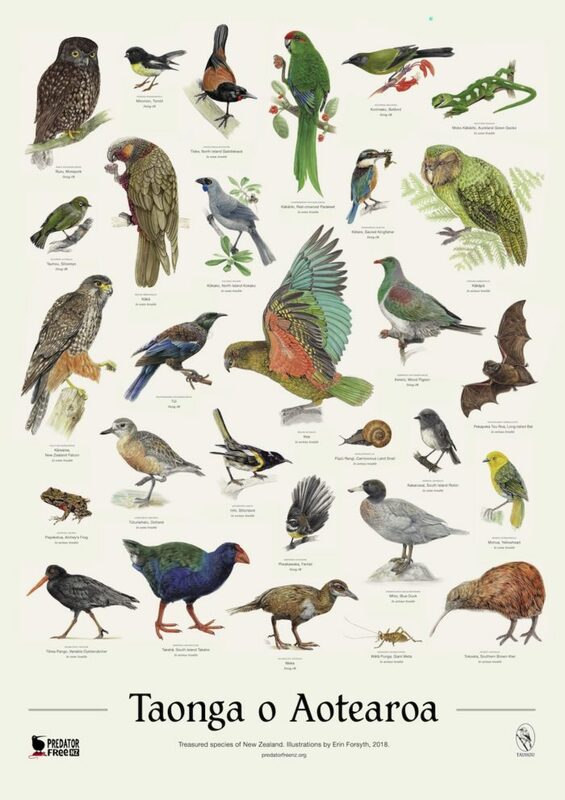 A variety of flora and fauna are represented in this collection with special attention given to the butterflies pepe or pūrerehua (Lepidoptera), manu/birds (Avifauna), pekapeka/bats (Chiroptera) and rakau/trees. It is the artist’s intention to continue creating and adding images to this series, which may provide insight to the unique biological (bio) diversity of Aotearoa New Zealand.